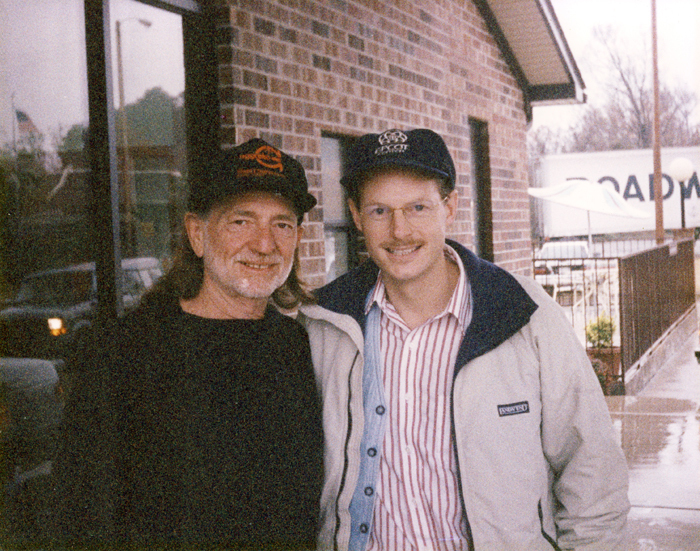 Dave meets up with the country music legend Willie Nelson in Clarksville, Arkansas, while both were "On the Road Again". 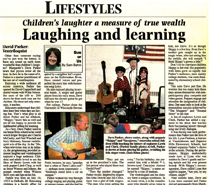 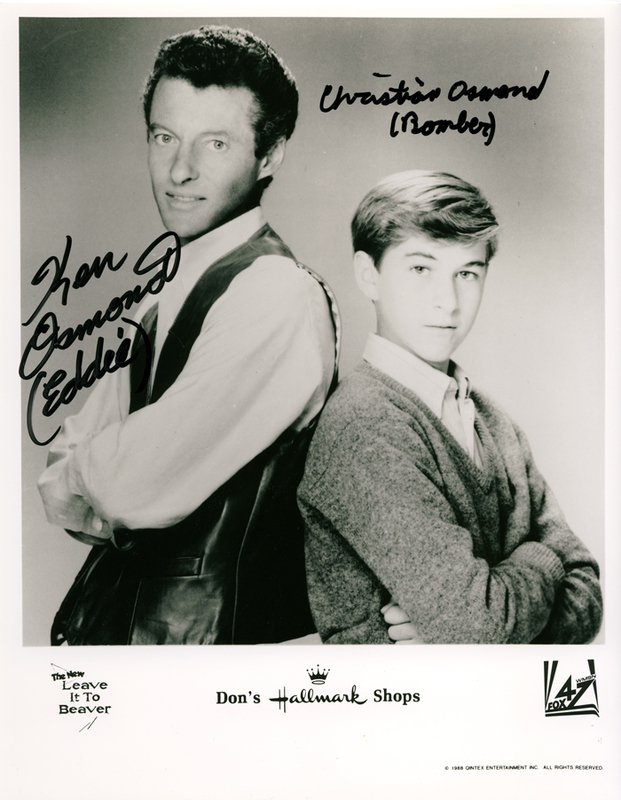 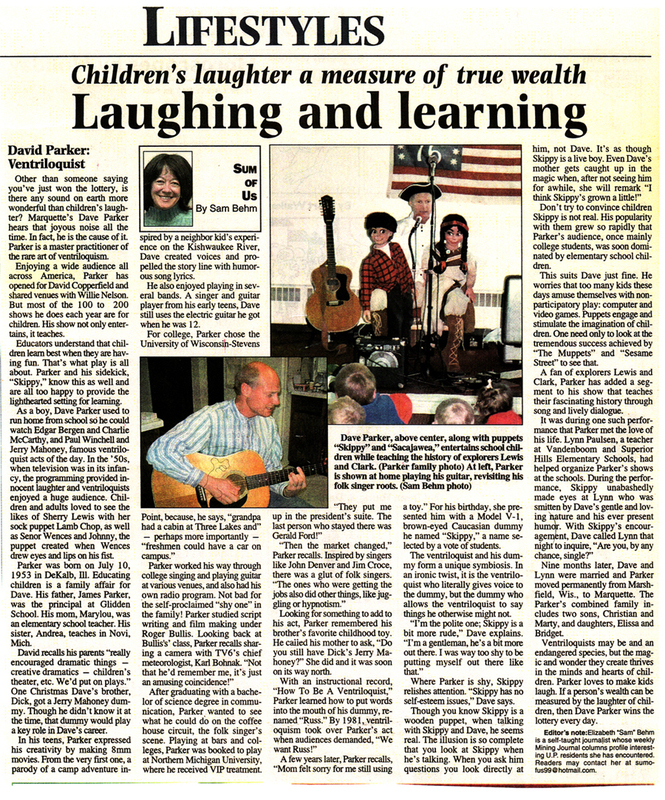 Eddie Haskell was portrayed by actor Ken Osmond who has a son named Christian. 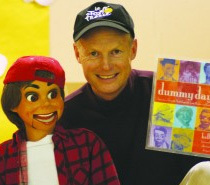 Dave also has a son named Christian. 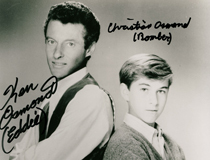 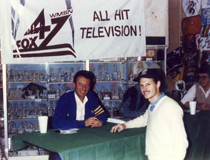 Dave gave a copy of his song, "Eddie Haskell" to the star of TV's "Leave it to Beaver". 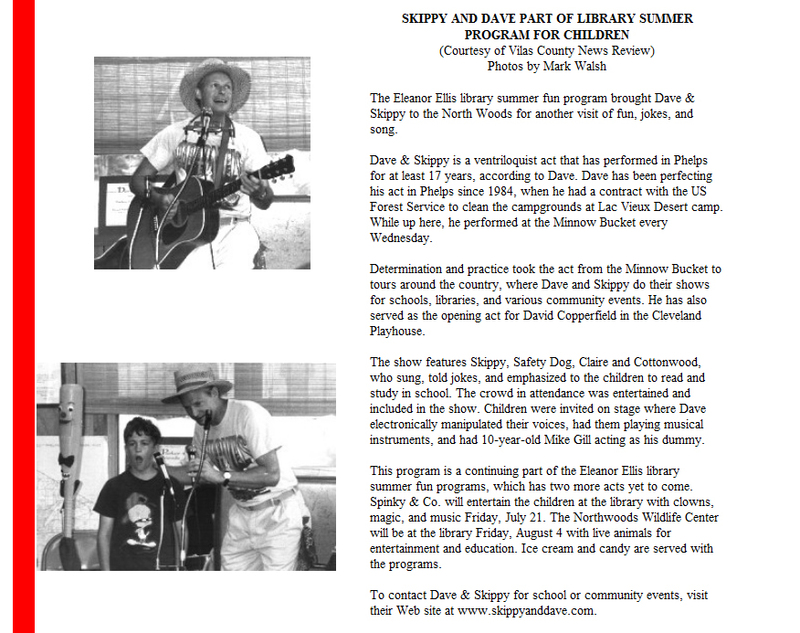 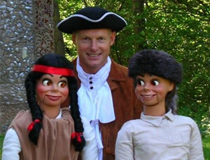 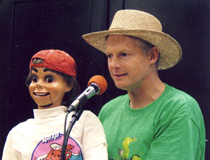 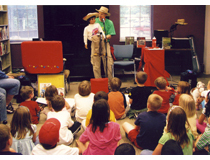 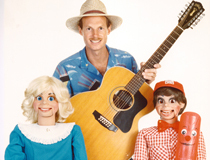 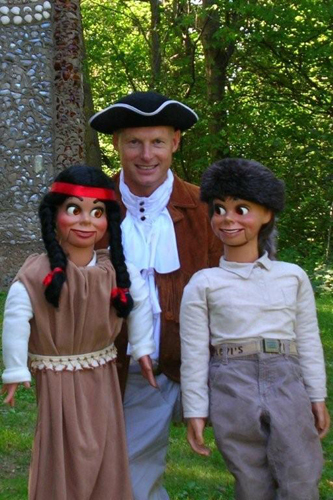 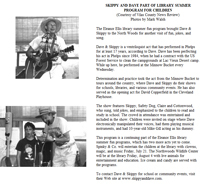 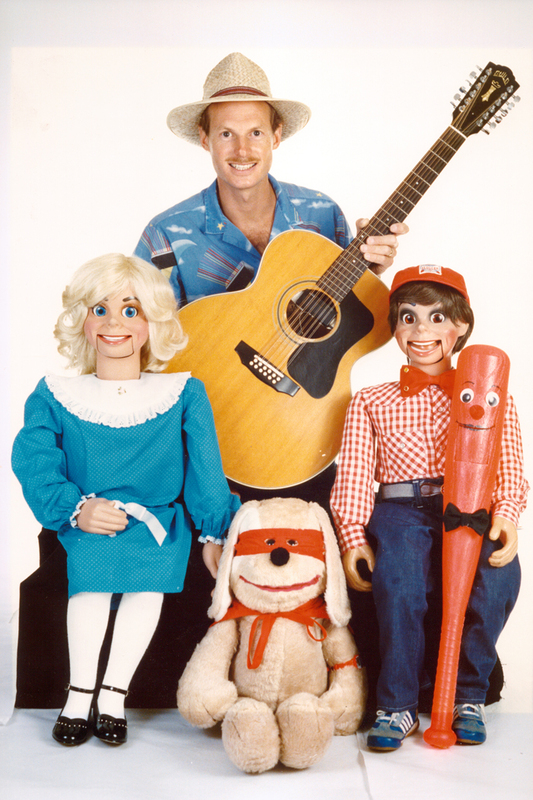 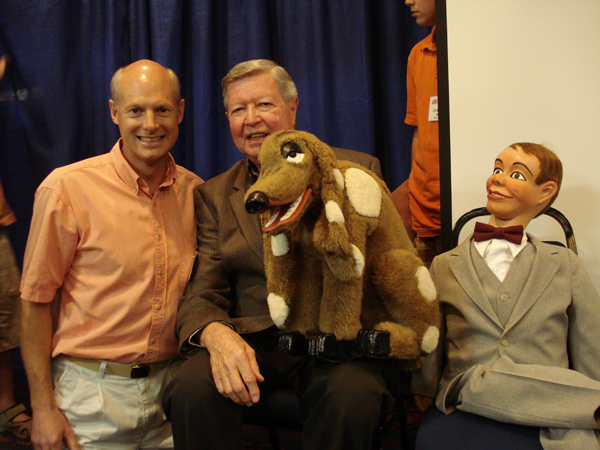 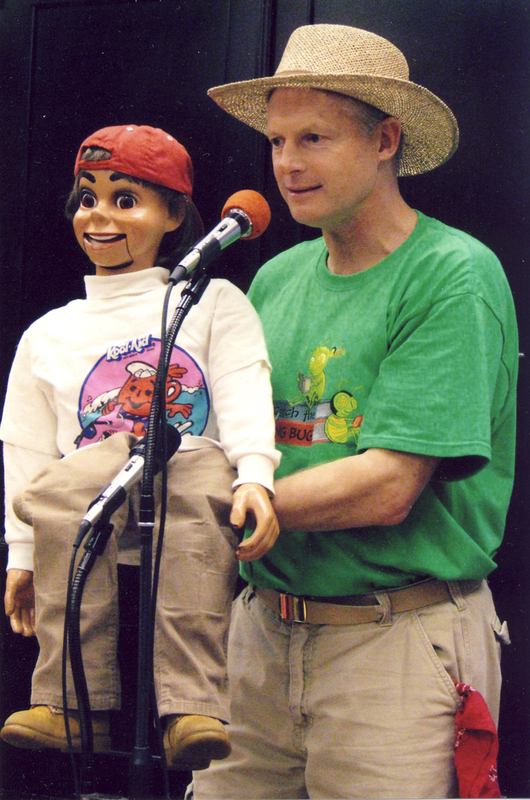 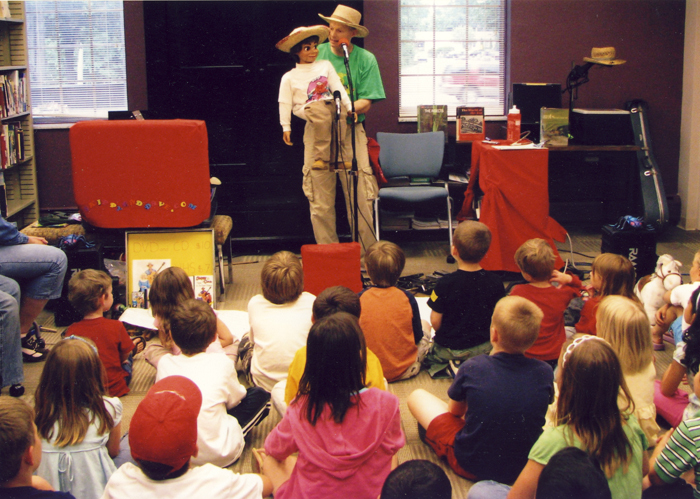 Skippy and Dave go buggy at one of their summer library shows. 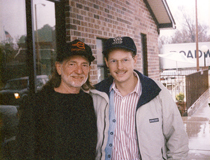 Dave's hat is on backwards, too, but you can't tell. 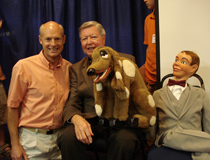 Dave with legends Jimmie Nelson, Farfel, and Danny O'Day. 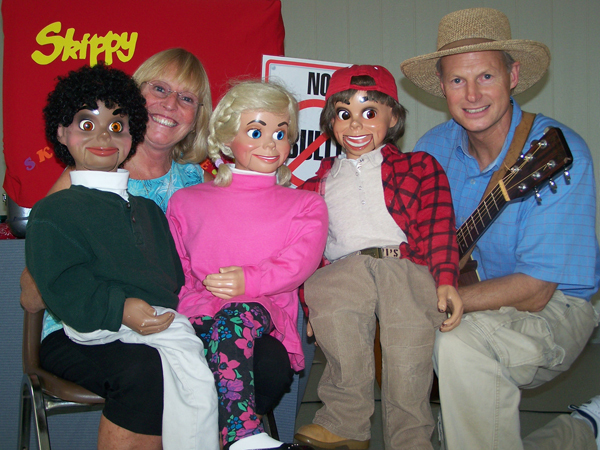 Nestle's makes the very best! 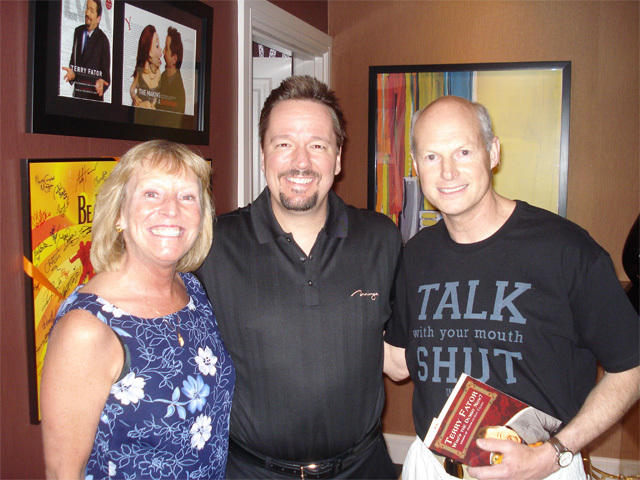 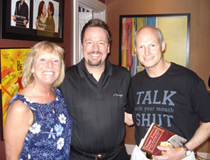 America’s Got Talent winner Terry Fator graciously greets Lynn and Dave in his Las Vegas dressing room after a fantastic show at the Mirage.